Hops have been growing here at Alskute since as early as 1734. 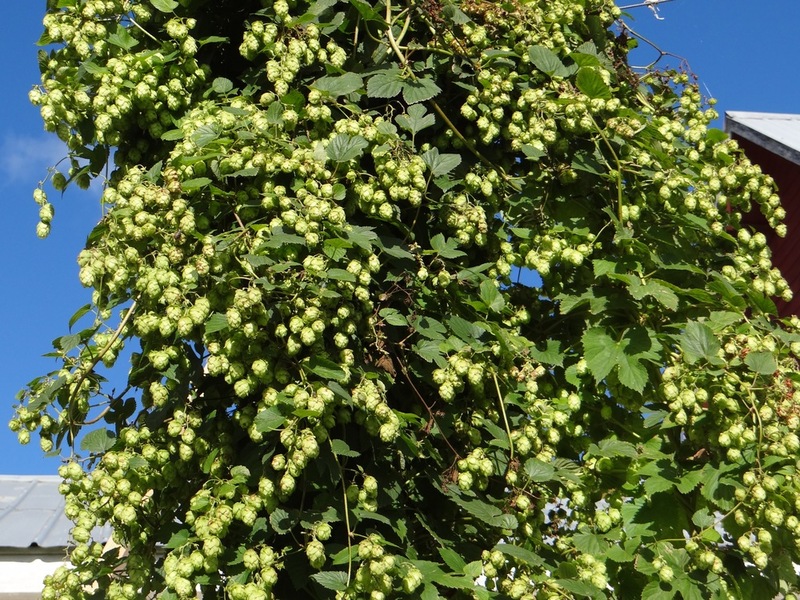 We hope to extend the hop growing with more varieties and greater quantities over the coming years. Analysis of the local Alskute Hop shows that it originated in Germany, likely in the 1800s, we know its catalog name and the make up of its oil compounds from detailed analysis completed in the UK. The Hop Yard allows us to take our own harvest and make small batches of beer using our own grown hops. 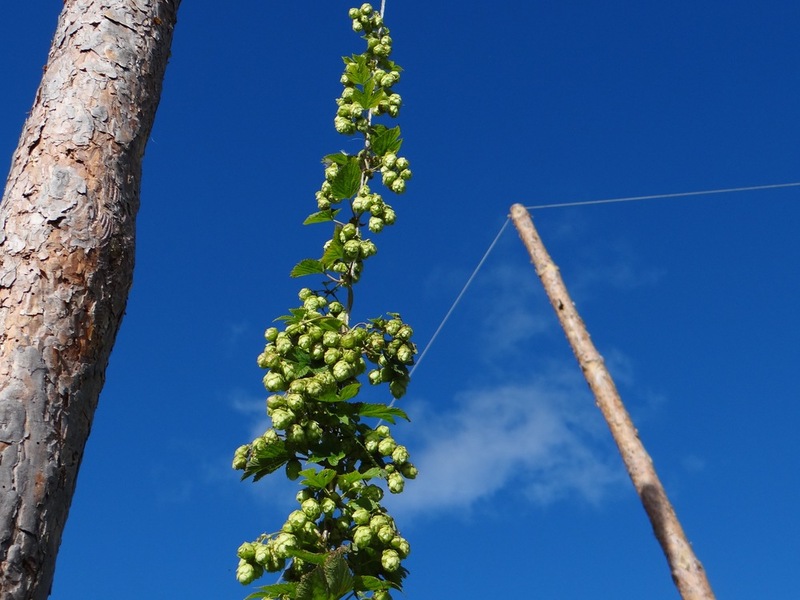 2015 was the first year that we had a variety of mature hop plants. We have grown, picked, dried and packaged all by hand since then. In the Spring of 2018 we have launched our own Pils with limited numbers of bottles going to the system bolaget stores here on Gotland. Availability is dependent on our hop supply. So Far we have brewed Rogue Dricke, Svart Island, Cascade Saison, Alskute Wheat and Levide Pils. Find out more about them below. Latest Batch 2017 Levide Pils, Classic German Pils using our Magnum hops for bittering and Local R3 27 for aroma. 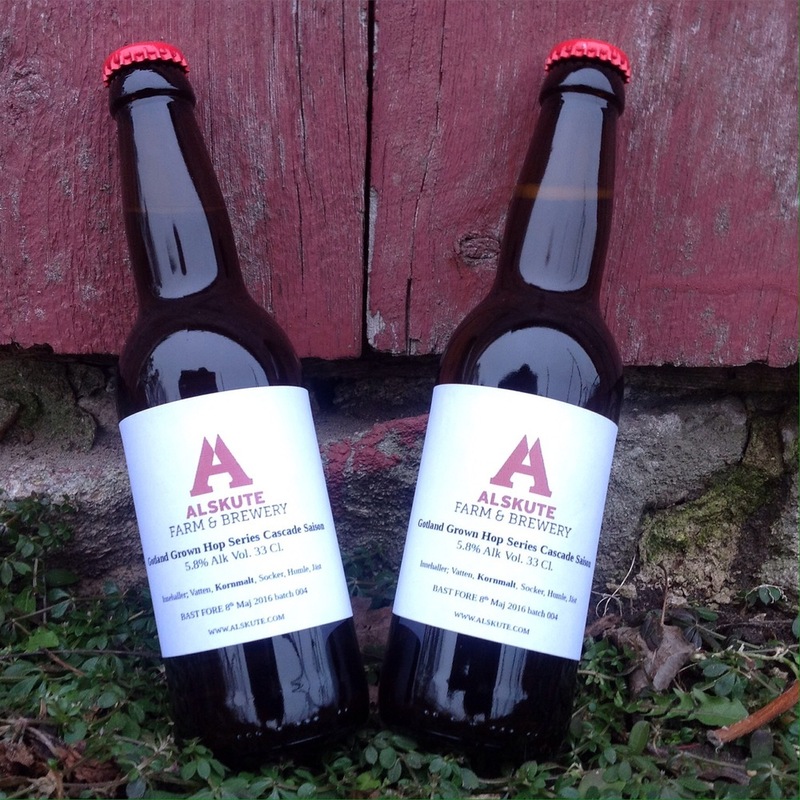 Levide Pils has featured on Keg and now in bottles in small releases. Alskute Wheat 5.5% abv. A classic Wheat beer recipe, that pours cloudy. Using the classic Weihenstephan Weizen Yeast strain. Light and fresh esters and phenolics are balanced with bittering and flavour hop additions of our local hops. (R3/27) a perfect summer beer. Cascade Saison 5.8% abv. Saison brewed almost the same as our Lemon Saison. ( Sorachi Ace Hops) Not as forward as US Cascade but a light Citrus/Grapefruit aroma contributes to the character of this refreshing farm house style ale. Hopefully 2016 will see a larger amount of Cascade maturing enough for us to brew this on a bigger scale. Svart Island 3.8% abv. Scottish Dark Ale. Single Hopped with Alskute grown Northdown. A UK dual purpose Hop variety, used here to balance a broad selection of Malts full of smooth chocolate notes. 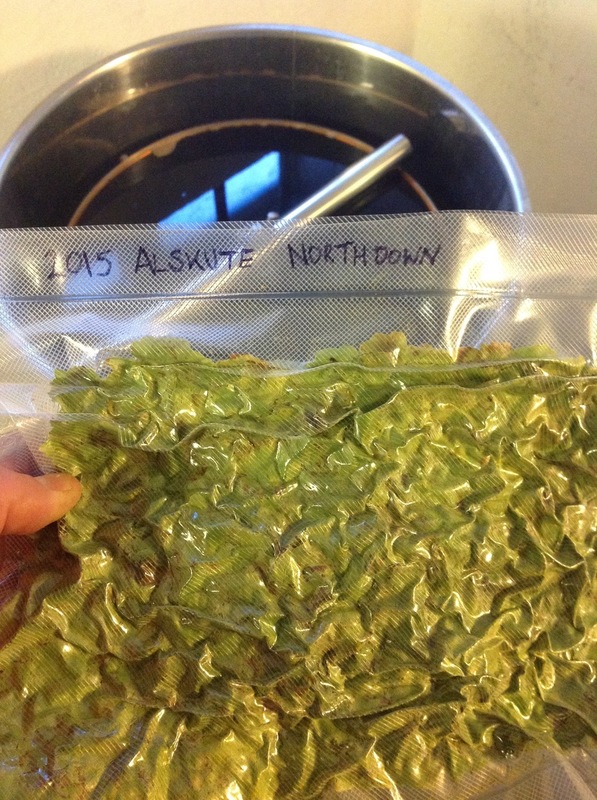 2015 analysis shows our Northdown to contain 8.5% Alpha Acid this is inline with commercial examples from the UK. A good start for this new hop to Sweden. Rogue Dricke is brewed using not only our own hops but also only Gotland Malt, and special rökt malt smoked on beech and Juniper wood from Levide, a special thank you to Ingvar and Harriet ! and Juniper from Alskute forest.